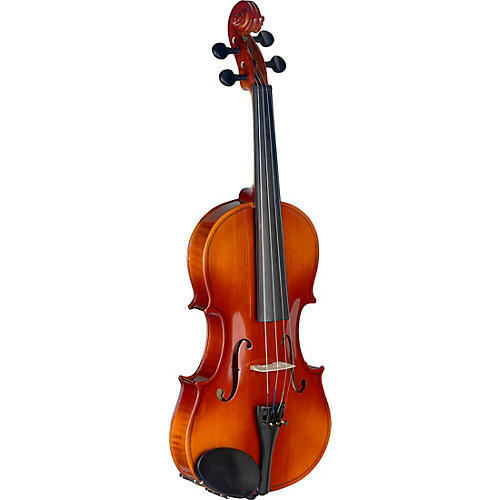 Traditionally handcrafted by skillful instrument makers, this student violin features a laminate spruce top, and maple back and sides. It has a maple neck as well, and an ebonized hardwood fingerboard. A maple bridge and hardwood tailpiece round out the instrument. It has 4 fine tuners, black plastic tuning pegs and a black plastic chin rest. A soft case, bow and rosin are included. Available in 1/2, 3/4 and 4/4 sizes.